An ivory head of Apollo, looted in 1995 by Pietro Casasanta near the Baths of Claudius, and seized from Robin Symes in 2003 and repatriated to Italy. Italy is making another great push for information and cooperation in recovering material from Robin Symes. Why is Italy pressuring the Government and not the estate of Symes? Because the objects may be used to satisfy a tax judgment. These illicit antiquities were seized not because they have illicit histories—though allegedly many of them do. Rather these objects are being held for an eventual sale that may be used to satisfy tax obligations. The disagreement over the objects sets up a conflict between Italy and Her Majesty’s Revenue & Customs which is holding the objects. The issue is the tax bill owed by Symes’s firm which is now in liquidation. The Art Newspaper reports that the liquidator attempting to satisfy Symes’s creditors, BDO, may be considering selling the antiquities to Abu Dhabi in order to help that nation build its collection of classical antiquities. And Italy is threatening to sue the liquidating firm. At a dinner . . . hosted by (the late) Mr. Leon Levy, a noted collector of antiquities, and his wife Shelby White, Mr. Symes’s partner, Mr. Christo Michaelides, fell down some steps, hit his head on a radiator, and died in hospital the next day. admitted to storing his assets (mainly antiquities) in five warehouses, in fact had twenty-nine ware-houses spread across London, Switzerland and New York. Becoming sceptical of Mr Symes’s openness in disclosing his assets, the lawyers for the Greek family, Messrs Lane and Partners, began to examine some of Mr Symes’s transactions closely. Mr Symes was followed, and the paperwork for his transactions double-checked. During this scrutiny it emerged that Mr Symes had sold, or said that he had sold, a Granodior-ite Egyptian statue of Apollo to a company in America, Philos Partners, of Cheyenne, Wyoming. When Lane and Partners examined this transaction, it turned out that Philos was a fictitious company, and that the address Mr Symes had said he sent the statue to did not exist. It later transpired that the statue had in fact been sold to Sheikh Al-Tani in the Arabian Gulf. That is only the first part of the story, which culminated in Michaelides’s family establishing that he had a legal claim to half of Symes’s assets and led Symes to declare bankruuptcy. Of interest to the Italians is the role Symes played in operating between Robert Hecht and Giacomo Medici. The objects which passed through Robin Symes carry a strong suspicion of illegality. This illegality though runs up against the obligations that Symes owes to his creditors and the tax authorities. 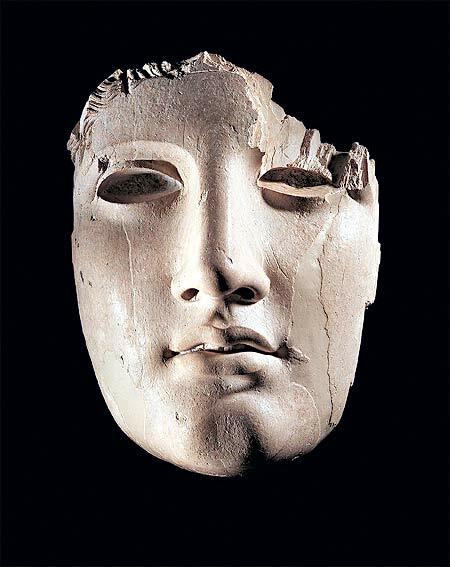 The Art Newspaper reports that Maurizio Fiorilli has requested information about 700 objects which were seized from Symes, including Greek pottery, marble sculpture, teracotta sculpture, and other objects. Archaeologists are rightfully upset that these tainted objects may be sold on the market. Italy threatens to sue UK firm over ancient loot The Art Newspaper, http://www.theartnewspaper.com/articles/Italy-threatens-to-sue-UK-firm-over-ancient-loot/31445. Watson, Peter. “The fall of Robin Symes.” Culture Without Context newsletter of the Illicit Antiquities Research Centre, Issue 15, Autumn 2004.